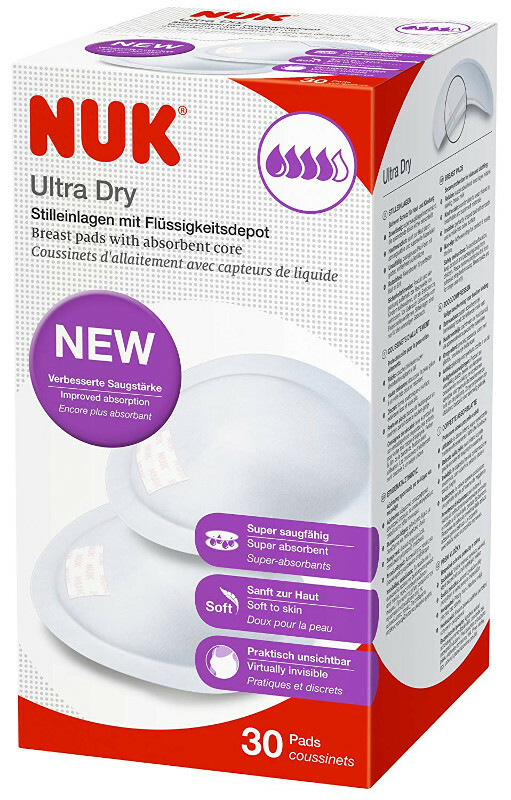 NUK Ultra Dry Comfort Breast Pads are anatomically designed to fit your breast perfectly. They are virtually invisible and extremely absorbent due to a special inner layer with liquid retention. A breathable outer layer allows air to circulate, and extra-soft fleece ensures that the pads do not stick to the skin.